Satisfy your inner culture vulture at Parroquia San Eduardo and Museo del Lago Gutierrez. Visiting Parque Nacional Los Arrayanes and Playa Bonita will get you outdoors. Get out of town with these interesting San Carlos de Bariloche side-trips: Benroth Chocolates (in Villa La Angostura) and Mirador Lago Traful (in Villa Traful). There's still lots to do: fly down the slopes at Catedral Alta Patagonis, delve into the lush surroundings at Sendero de los Arrayanes, hike along Circuito Chico, and head outdoors with Refugio Neumeyer. To see other places to visit, reviews, photos, and more tourist information, you can read our San Carlos de Bariloche day trip website . 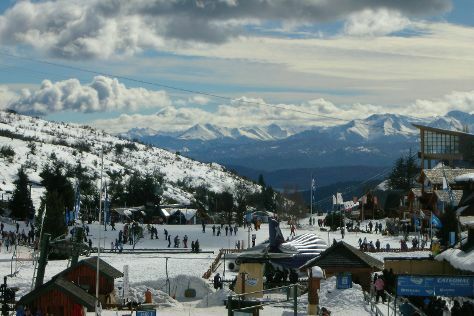 August in San Carlos de Bariloche sees daily highs of 9°C and lows of 0°C at night. Cap off your sightseeing on the 25th (Sun) early enough to travel back home.